Moringa Oleifera Leaf Powder. Moringa Oleifera Dried Leaves?. Moringa Oleifera Seeds?. Moringa Oleifera Dried Leaves. A drought-resistant tree native to the Himalayas. INGREDIENTS Dried pulverized Moringa Oleifera Leaf Powder. 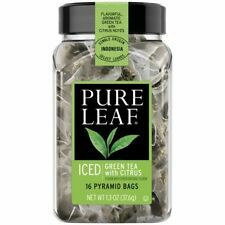 Have you been wondering “what’ all the fuss is about green tea?”. Now you can stop wondering and start drinking…green tea, that is. Green tea contains a potent plant nutrient known as epigallocatechin gallate, or EGCG, for short. Try it in many delicious recipes! It takes chaga 3 to 5 years to fully develop and also it is very rare. 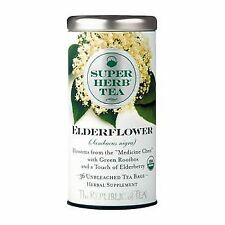 As a result, our tea has the highest content of essential substances, which make this exclusive product exceptionally powerful and effective. This is a healthcare tea extracted from the Jiaogulan plant. Functional tests have shown that jiaogulan regulates blood fat, that is, lowers aggregate cholesterol level, and delays the ageing pess. Extracted from the Jiaogulan plant. Canarias Yerba Mate is chemical free and aged for up to six months, making this a clean and bright yerba. An interesting interplay between a strong flavor and light mouthfeel makes for a unique drinking experience. Our family farm is at a high altitude, away from chemical usage on lower grown tea gardens. 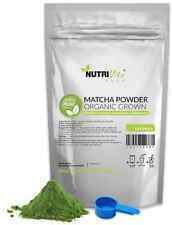 MatchaDNA USDA Certified Organic Matcha Tea. Our MatchaDNA Certified Organic grown under the shade of handmade bamboo reed canopies; forcing the tender leaves to produce a deep, dark color fortified with flavor and nutrients. Our mission is to provide the highest quality, natural, organic superfood products to promote a happy lifestlye and a sustained physical well being. 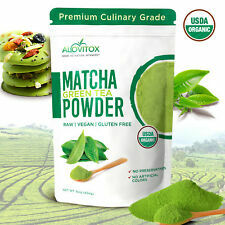 Alovitox only uses pure, authenic Japanese First Harvest Matcha Green Tea Powder. 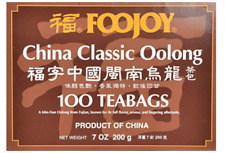 100 teabags Premium Black Label Oolong Tea. Health, Beauty (12). Quick Links. Bulk Purchasing We specialize in Asian grocery ranging from spices, snacks, dessert, candy, and lots more. Bulk Purchasing. Gold Kili Instant Ginger Drink is a blend of high quality ginger with honey added for a fragrant smooth and delicious drink. Instant ginger lemon drink is made using top grade ginger enhanced with natural honey and lemon flavor. Ginger is commonly produced in India, Indonesia, Australia, Jamaica and Fiji. In addition, Ginger has a long history of use for relieving digestive problems such as nausea, loss of appetite, motion sickness and pain. 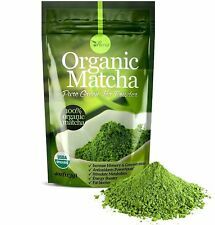 Matcha is high-grade green tea leaves that are stone ground into fine powder. Loaded with antioxidants, vitamins and minerals, this superfood can provide you with natural energy while giving your favorite dishes and drinks an exceptional flavor. There’s nothing banal about this yerba. You know, that person who’s always going right when everyone’s going left. Cruz de Malta is no different. Sweet, woody, and earthy as the richest rainforest floor, this rustic and rugged yerba walks alone without a care in the world. DAMIANA LEAF TEA ( Turnera Diffusa ). Damiana (Turnera diffusa) is a low-growing plant with yellow flowers and fragrant leaves. Ingredients: Turnera diffusa. PROFESSIONALLY SEALED PREMIUM QUALITY DAMIANA LEAF TEA. This ORGANIC ROASTED DANDELION ROOT TEA by DandelionDNA contains 100% Organic Dandelion Root that has been lightly roasted to bring out the delicate flavor similar to that of a mild coffee. Dandelion Organic Roasted Dandelion Root Tea is not only delicious, it’s 100% organic, has anti-inflammatory properties, and contains essential fatty acids and antioxidants. Hibiscus sabdariffa. 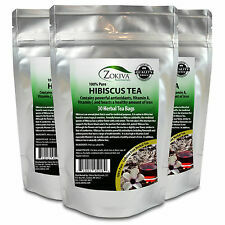 Hibiscus tea has a sweet tart cranberry taste and has many health benefits. Hibiscus tea is made from the hibiscus flower. Premium Organic Antioxidant 100% hibiscus flower. Hibiscus tea contains powerful antioxidant properties that help remove bacteria from the body. The fragrant Hibiscus is bursting with antioxidants such as flavonoids, anthocyanins, Vitamin A and Vitamin C. It also contains a healthy dose of plant-based iron. Antioxidants as well as other nutrients found in Hibiscus Tea also help protect the heart. Black Tapioca Pearl Boba Bubble Tea Ready in 5 Minutes 8.8 Oz. Ice Tea, Ice Coffee. BLACK TAPIOCA PEARL BOBA. Just boil in hot water and ready in 5 minutes. Leave 2-3 minutes longer for better result. This tea is carefully harvested for MatchaDNA exclusively by Hiroshi, his brother and wife. Our family farm is at a high altitude, away from chemical usage on lower grown tea gardens. Our MatchaDNA Certified Organic grown under the shade of handmade bamboo reed canopies; forcing the tender leaves to produce a deep, dark color fortified with flavor and nutrients. It is rich in nutrients, antioxidants, fiber and chlorophyll. It is sugar-free, an ideal drink for diabetics and others wishing to reduce their sugar intake. The health benefits of matcha exceed those of other green teas because matcha drinkers ingest the whole leaf, not just the brewed water. 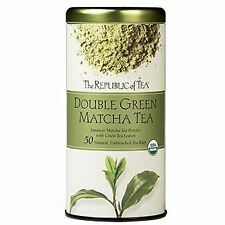 Tradition Pure Green Tea Matcha Powder. 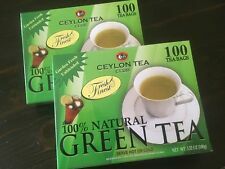 Product of Taiwan 1 Bag, 8.8 Oz (250 Grams) 100% Natural Green Tea Powder Make over 50 Cups of tea Delicious Tradition Green Tea Powder has full of fresh green tea benefits, including great weight loss. Matcha is getting popular in the world now. 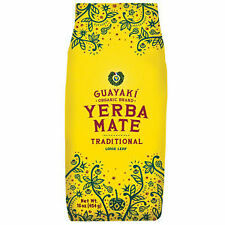 On an emotional level, Yerba Mate Tea is believed to reduce stress, anxiety and depression. Despite being a stimulant, it can curb insomnia as well. Yerba Mate Tea relaxes the digestive tract and promotes gastric acids that encourage the purging of waste and toxins from the body. Each contains 20 Tea Bags. 1.6oz (45g). USDA Certified Organic and Kosher. Much research has been done on the effects of hibiscus tea in those with high blood pressure. Studies have shown that hibiscus tea is very effective in lowering LDL cholesterol levels. Hibiscus tea health benefits and conditions it treats naturally. 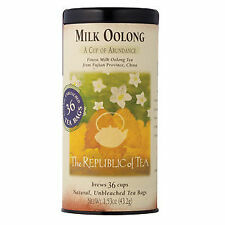 Suitable for tea, spices and herbal powder. 100 pieces of empty tea bags. Sealings: Seal them with a string. These bags are used to fill 3 ~ 8g tea or dry herbs or plants. color white. As one of the oldest and most admired teas in the world, Chamomile Tea deserves the respect it has received for centuries. It also contains antioxidants such as flavonoids and terpenoids. Renowned for its ability to gently calm and quickly heal the body, Chamomile Tea has an array of health and wellness applications. Pantainorasingh Thai Tea Mix, 16-Ounce Bags is used to prepare the popular orange colored Thai Iced Tea (cha yen in Thai). How to make Thai Iced Tea: Thai iced tea is one of the first things people fall in love with when dining at a typical Thai restaurant. A typical cup of green tea has about 20-30mg of caffeine, and cup of coffee ranges from 100-180mg. One - 6" Scoby is enough to brew a 1 gallon batch of Kombucha. You can simply buy 1 Scoby per gallon of final Kombucha you wish to brew. 100% Organic Kombucha Scoby's w/ Fresh Starter Tea and Brewing Instructions. 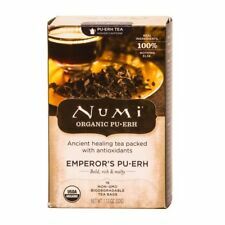 Buddha Teas CBD Tea - Tumeric Ginger 90 MG CBD per Box!